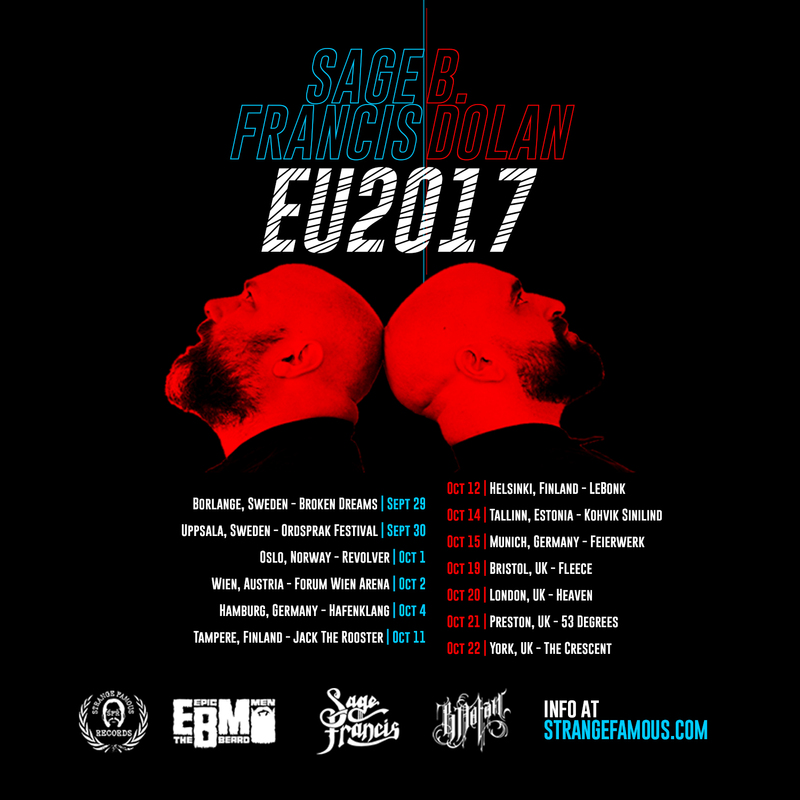 Sage Francis | B. Dolan | Epic Beard Men – UK/EU TOUR 2017 is over! SAGE FRANCIS and B. DOLAN are back in the US and currently working on their Epic Beard Men album, so expect a lot of new music (and many more tour dates!) in 2018. For now, follow the bearded boys on FB – Twitter – Instagram. Sage Francis still has a few solo shows left in 2017! Here’s the FB banner if you’d like to add it to your collection of digital SFR artifacts.